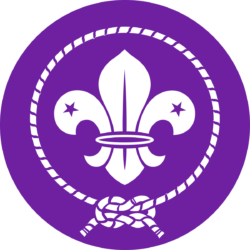 Scouts dredge The Grand Union for treasure! 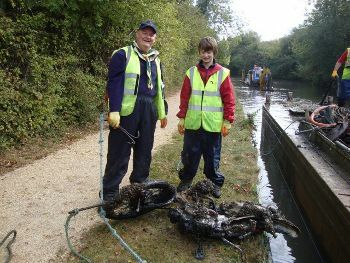 On Sunday 16th October a group of our Scouts, Leaders and parents helped the Milton Keynes Branch of the Inland Waterways Association with a clean up of the Grand Union Canal. Following a health and safety briefing we were equipped with grappling hooks and went “fishing” for treasure. Our haul included: two motorbikes, two push bikes, a wheel chair (only 3 wheels! ), a car battery, a ladder, a sign post, numerous bits of metal, poles, and what looked like a pair of Trevor’s old pants!….. The Scouts were rewarded at the end of the session with cake and biscuits, and a trip back to the start on a narrow boat. 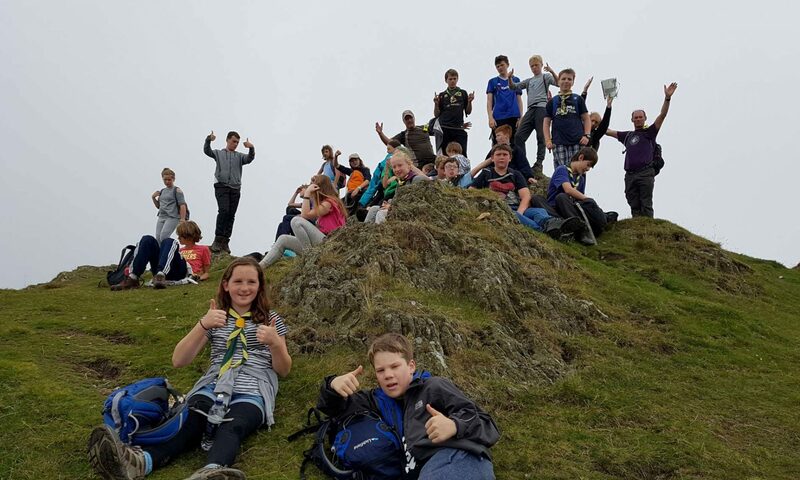 Their hard work will also go towards the requirements of their Community Challenge Award badge. We would like to thank the IWA for the opportunity to help out, and look forward to the next time. 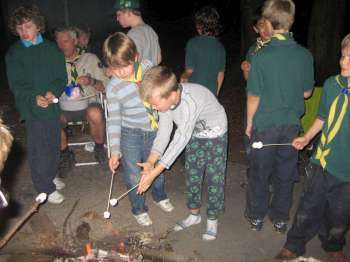 The cubs had a great weekend at Lees Wood campsite. 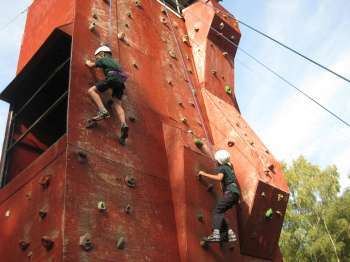 On Saturday they shot targets on the Riffle Range, had a go on an Assault Course, cooked dampers on the campfire and climbed a 30ft wall. 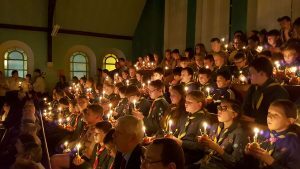 We had fish fingers, mash and peas followed by swiss roll and custard for tea, we cooked a few marshmallows, then we joined another group for a campfire, where we sang lots of songs. After hotdogs the cubs were very tired and went straight to sleep! On Sunday the cubs had a cooked breakfast, then packed away their belongings. We had a “Scouts Own” where Hathi told the story of “The boy who cried wolf”. After, we did orienteering and Baloo’s group got back first.